A splendid day to bid farewell to our beloved Sardine. Since five o’clock in the afternoon, the funeral procession has been concentrated in El Ganadero to give its last goodbye to Mrs. Sardine. 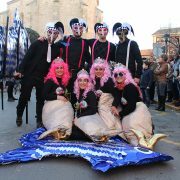 Serafin, King of the Carnival and most grieving of the unfortunate sardine, received the condolences and was accompanied in the burial of the components of the different Peñas of the town, Major Masks of this year and earlier, members of the Association of Peñas with their president to the head, Raúl Domínguez, the councilman of celebrations Diego Rodríguez and a good number of carnavaleros/as that have also joined this tribute. The funeral parade, has crossed the streets of the population in search of the crematorium, clothed at all times by a large audience that filled the streets, joining the entourage to give the last goodbye to the unfortunate fisherman. The little mermaids also wanted to join in such a painful loss and carried the children’s sardine. 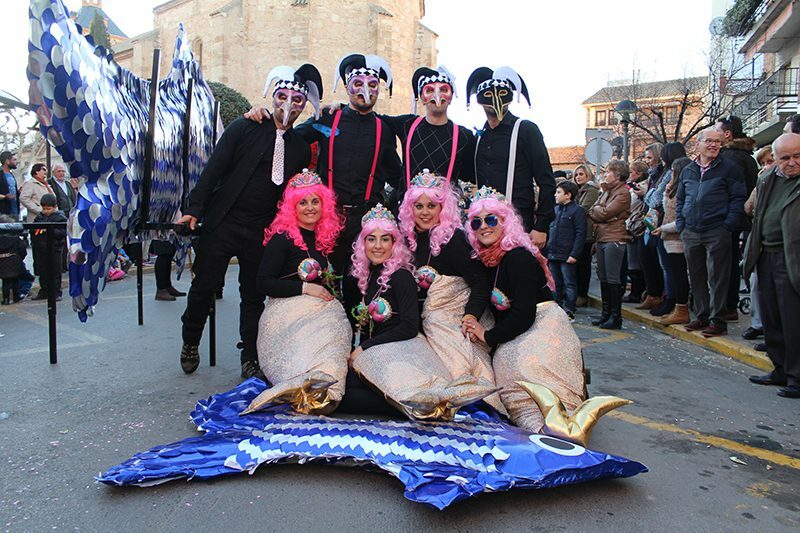 The members of the Peña la Cabra organizers of the act, portrayed the adult sardine. The esplanade between the streets Rodeo and El Ramo, was the place chosen for the cremation of the sardines and between tears, sobs and sorrows, the purifying fire ended with the most peculiar burial of the churriego carnival. Later in the Peña la Cabra shed, sentences of more than one hundred liters of limoná and another hundred of fresh sardines on the grill were drowned. Mrs. Sardine, rest in peace for this year.